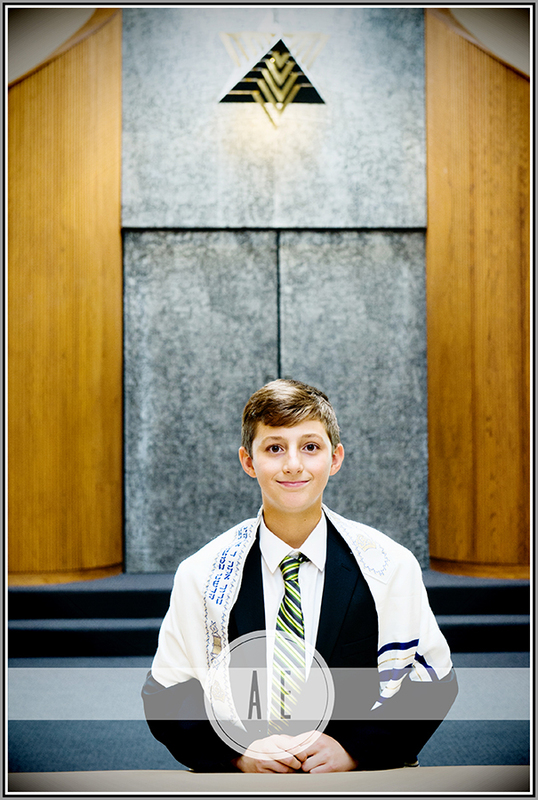 This bar mitzvah held a lot of firsts for me: the first time shooting at Northern Virginia Hebrew Congregation, first time shooting at the Reston Hyatt Regency and the first time I didn't get to meet the bar mitvzvah boy before the day of his bar mitzvah. Because we didn't meet beforehand, I didn't have a read on Jack's personality. Turns out he was like all 13-year-old boys and was not at all excited about having his photos taken at temple. BUT, he was patient and accommodating and put up with me as best he could. We did family photos after the service which was also new to me and ended up being a great idea ~ all the nerves were gone and everyone was so much more relaxed. But the party. Oh, the party. One of my favorite party planners, Carin Lomax, was in charge of the reception and it was amazing. They had customized baseballs as the centerpieces, a cool lounge area for the kids and ball caps with Jack's bar mitzvah logo on it. I love working with Carin because I know that no matter what happens during the evening, she will handle it quietly and efficiently and the client won't even know there was a hiccup. Electric Entertainment and DJ Blake were also there and I love working with them, too (I've hired them for my daughter's bat mitzvah). The unusual part of this party? The kids didn't dance *nearly* as much as the adults. It was completely backwards from almost all of the other receptions I've photographed. The kids had a great time hanging out in the lounge and the adults hogged the dance floor ~ it was awesome.